A Unit Of Piggy Banks Leadership PowerPoint Templates And PowerPoint Themes 0912-"Microsoft Powerpoint Templates and Background with unity of piggy banks"-"Unity of piggy banks, teamwork, money, finance, business, leadership" Make instructive presentations with our A Unit Of Piggy Banks Leadership PowerPoint Templates And PowerPoint Themes 0912. Dont waste time struggling with PowerPoint. Let us do it for you. 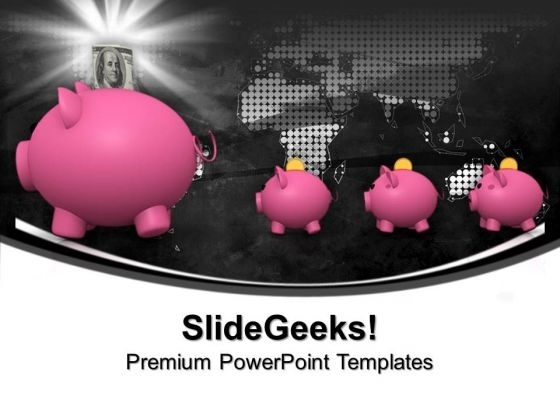 Experience craftsmanship with our A Unit Of Piggy Banks Leadership PowerPoint Templates And PowerPoint Themes 0912. They are designed by excellent artisans.